Winter in New England leaves vehicles looking worse for wear. When the warm weather returns and you start thinking about your spring cleaning list, don’t forget your car. Follow these steps to protect your investment and get ready for those summer road trips. 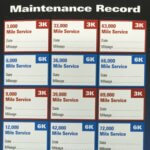 If you haven’t changed your air filter and cabin air filter in the last 12 months or 12K miles, now is the time. As the filters become clogged, pollen, dust, and other contaminates become concentrated on the filter surface and greatly reduce the efficiency of your systems. 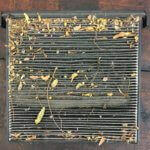 The filter deteriorates with age and use and those contaminates begin to pass through. This is a problem for both your allergies and your engine. Pollutants entering a vehicle’s passenger compartment through the air conditioning, heating and ventilation systems can make the air in the car 6 times dirtier than the air outside. Particulate that passes through the air filter can cause damage to your engine over time, reduce fuel efficiency, and increase emissions. Detail your car inside and out. Winter took a toll on your car. Here in New England, in addition to Mother Nature your vehicle had to contend with regular road salting and sanding. Whether you DIY the job or spring for a pro, your car deserves a thorough detailing at least twice a year. It’s not just about looking good. Winter road grit and leftover salt residue deteriorate your paint, accelerate rusting, and abrade your carpets and interior. Take the time to properly clean it inside and out. Your efforts will extend your vehicle’s life and protect its value. While you’re cleaning your car, pay special attention to your headlights. Old, dim bulbs and cloudy lenses will greatly reduce your ability to see and be seen in foggy or rainy spring weather. If they are not up to the task, have the lenses restored and/or the bulbs replaced. Temperature extremes break down the rubber, giving wiper blades about a 6 month useful lifespan in our region. 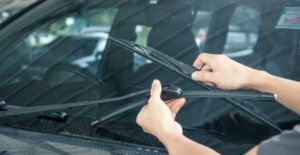 Check the condition of your wipers and replace them on a schedule in the spring and fall or as needed. Worn out wipers can’t clear the window effectively enough for good visibility in torrential spring rain (and can scratch your windshield over time). Ideally your tire pressure should be checked every month, but if it’s been awhile check now. 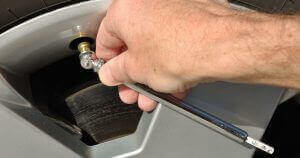 Checking your tire pressure after extreme temperature changes is especially important. Every 10 degrees the temperature increases equates to approximately 1 additional psi. A tire that was at the right pressure on a 20 degree winter day might be overinflated upon the arrival of a 75 degree spring day. Take inventory of your emergency kit. Swap out the ice scraper and salt for extra water, and restock any supplies that were used or have expired. If your vehicle is overdue for an oil change or a scheduled service, don’t wait any longer. Performing regular scheduled maintenance is the best way to get the most out of your vehicle investment. A well maintained vehicle is more dependable, safer, more fuel efficient, less polluting, and more valuable. Come to Hillside Automotive in Hartford for service and our expert mechanics will perform our 50-point courtesy inspection to make sure that your vehicle is in the best possible condition for the summer road trips ahead. Call Bob at 860-951-1083 for an appointment or schedule online today.